3.1 Whom Is This Product Designed for? 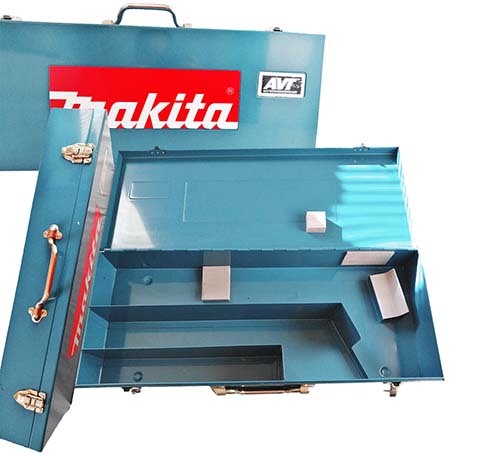 Makita is widely known for its amazing capability in manufacturing quality power tools. Their powerful Makita JR3070CT Orbital 15 AMP Reciprocating Saw maintains this status. This saw is designed to handle the toughest cutting jobs. Makita’s Reciprocating saw is ideal for handling all cutting and demolition work. It comes equipped with anti-vibration technology. 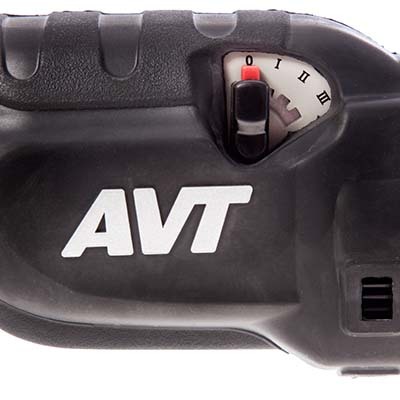 This AVT ensures that it deliver superior power and performance with less vibration. The product also comes with an internal counterbalance system. This system makes the saw deliver a faster and more efficient cutting experience. It comes with a 15AMP motor with electronic speed control. Therefore, it enables the saw to maintain a constant speed when cutting any material. It has a long one and a quarter inch strokes with an ability to cut faster. With the ability of 0-2800 strokes per minute, it can easily cut any material . You can easily control its speed with its variable speed dial. It has six different present speeds to help you to match the speed of the saw to the application. This saw also comes with a unique clutch system. It extends the saw’s life by protecting the gears when the blade binds. When using this saw, you may also use its orbital action feature. Its orbital action feature has four settings to choose for high cutting speed. 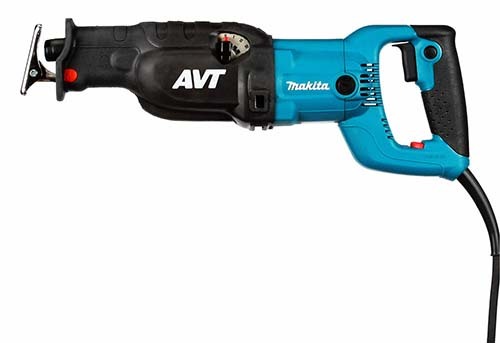 Makita jr3070ct saw is a powerful reciprocating tool engineered for cutting metal, wood, plaster, and drywall. You can use this versatile saw when demolishing an existing wall or when doing remodeling work. 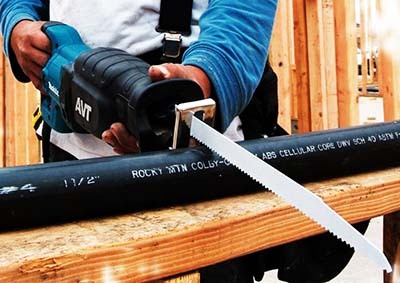 It is also handy for builders, metal fabricators, roofers, general contractors, and remodelers who are looking for a quality reciprocating saw to help them in providing top-notch service. This reciprocating saw comes with AVT technology as well as a counterbalance system that helps to reduce vibration when cutting to deliver a more efficient cutting power. This AVT technology provides the professional with a powerful tool. This AVT technology has the ability to have three times less vibration, reduced noise. 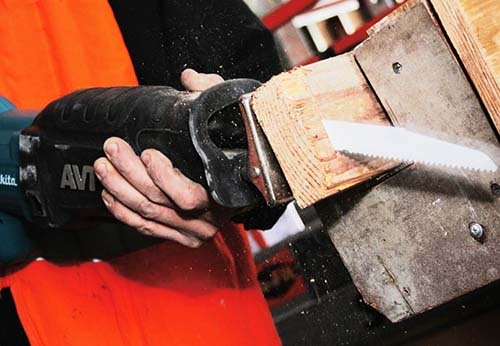 It has also more efficient power usage than most of other reciprocating saws. Anti-Vibration Technology involves reciprocating technology where the mechanical damper counter balances the weight effectively while at the same time providing an equal and opposite anti-vibration. This anti-vibration force put an equivalent mass to the opposite point at which the striker bolt delivers the impact joules to the reciprocal saw blade. Makita JR3070CT Reciprocating Saw comes with a four-way blade positioning that enables the professional to make a flat and a close cut in places. Because the saw comes with a compensation circuitry feature that keeps the blade running at a constant speed. So, there is no need for you to worry about the blade blogging down mid-cut of any material. You can also easily change the blade with a simple twist that ejects the old blade fast and replace it with a new one. Makita jr3070ct reciprocating saw is about 10 lbs. This may feel a bit heavy for overhead work, but it comes with superb control and power that mitigate its weight. The weight may be because of having a strong blade, a powerful blade, and a sturdy metal case. These features make a powerful reciprocating saw that can cut through almost everything. The sturdy metal case, as well as a strong blade, ensures that you have an effective and durable saw. 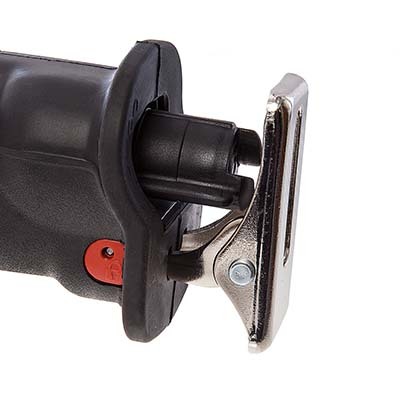 The metal case also helps in avoiding dissipation of power through vibration ensuring the power generated by its powerful motor is delivered to the blade where it is most needed. Makita jr3070ct reciprocating saw manufacturers ensures that the product is rigorously tested and inspected before it leaves the factory. If you are not satisfied with this product within the first thirty days of purchase you can return the saw. After that, the company will provide you with a replacement or refund your money. The tool also comes with a warranty that covers any defects in material and workmanship for a period of one year from the original date when the product as purchased. You can return the tool to any of Makita’s authorized service centers or take it back direct to any of Makita’s factory if the tool develops any problem during this one-year period. You do not need to worry about freight charges because they are prepaid for you. The 15 AMP motor puts out a lot of power, making it emit excessive heat. Makita JR3070CT reciprocating saw comes with advanced features and more power. But this might not be the right saw if you are a first timer. This is because first-time users do not have the experience of using a reciprocating saw to understand how to use speed control properly. For experienced reciprocating saw users, you should ensure that they adjust the front shoe and its shoe holder. If you don’t adjust accordingly, the mechanism that holds the shoe became looser and sloppier, causing the blade to cut into the shoe. Question: Is the trigger variable speed? Answer: No, but it has a variable speed dial with six different preset speeds to match the speed of the saw to the application. Question: Does the motor have brushes? Answer: Yes it does, all corded tools have brushes. Question: Can the blade be installed downwards OR upwards? Answer: The blades can be installed in either direction. If you are a construction worker and you want a tool that you can use all day long, Makita reciprocating saw is a great choice for you. The saw also provide you with all the power you need to cut through different material that you may be interested in cutting. Most importantly, it makes the cutting easy and fast. Another reason why you must purchase Makita JR3070CT reciprocating saw is its durable body design. Its body is designed in a way that it keeps the debris and dust away from the motor. It comes with rubber and felt seals that keep water and dust from reaching the motor to prolong the saw life. This tool is also for serious DIYers since it provides trouble free and comfortable cutting power that can last a lifetime. Most of the customer gives positive review on it. Therefore, it is easy to say that this is one of the market’s best reciprocating saw. Buy Makita JR3070CT Orbital 15-Amp Reciprocating Saw with Anti Vibration On Amazon, Now!